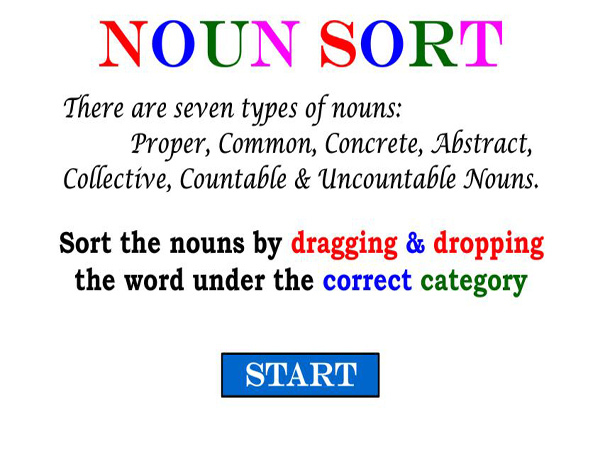 How well do you know the 7 different types of nouns? There are 4 sets of lists to try and sort. Read each noun and then click and drag it to the correct noun list.